Will be presenting on using a Virtual Machine for development work, why and how. Hands on look at setting one up and tips and tricks on the day to day use. click here to learn more. 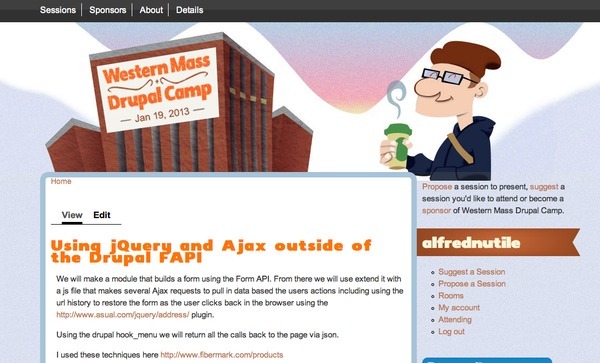 Second presentation will be on Using jQuery and Ajax outside of the Drupal FAPI. I will use the work I did on http://www.fibermark.com/products as a foundation to building your own module and explaining why I had to build outside of the FAPI Ajax system. This will be hands on as I walk through building a module to pull in remote content. click here to learn more.